The inner circle of whisky connoisseurship is impenetrable to the layman. The sheer fanaticism required to amass massive vaults of priceless single malts is not something a person who drinks blended whiskies with ice and a soft drink mixer (aka the global majority) can comprehend, let alone appreciate. Because of this divide, fine whisky, in all its nuanced glory, is deliberately shielded away from the public and made a domain for the knowledgeable elite to savour. Not at The Swan Song, though. Fronted by two self-professed whisky geeks, Kelvin Hoon and Arun Prashant (the latter you might know if you were a regular at The Auld Alliance), The Swan Song aims to make whisky of all levels attainable to anyone. While that is an ethos that many bars of such a nature promise, they rarely deliver due to a penchant for maintaining the aura of elitism that surrounds whisky — a trap The Swan Song thankfully has not fallen into. The bar is tucked away in a second-floor enclave behind the strip of bawdy bars that form Prinsep Street. 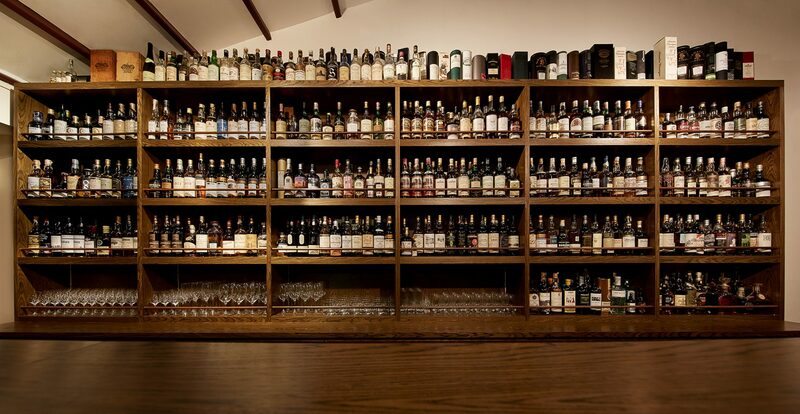 Once you climb up the staircase next to Idle bar, you’ll come face-to-face with an immense wall of whisky bottles, each of them available and ready to meet you. The rest of the space is an intimate and comfortable second act to the astounding bar that steals centre stage. Stately leather lounge chairs and a long counter offer limited seating, which supports the statement that The Swan Song is about celebrating whisky before all else. In spite of the rather austere furniture, nothing about The Swan Song is intimidating. 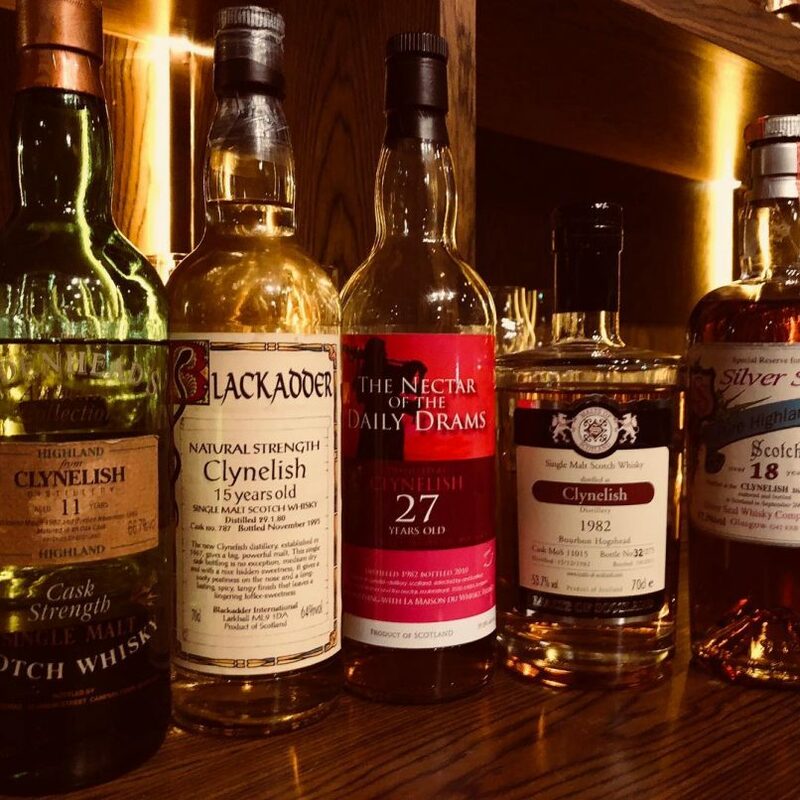 Visit on any of the weekend nights it is open, and you’d definitely find Hoon, Prashant, and its bartender having lively conversations with customers over a dram or two. In its own words, the bar promises “the stuff dreams are made of”, and a simple flip through its neatly organised menu delivers. From Aberlour to Tomatin, both original and independent bottlings from each label are listed for your perusal. For the uninitiated, there are over 20 flights at fairly reasonable prices that you can order. 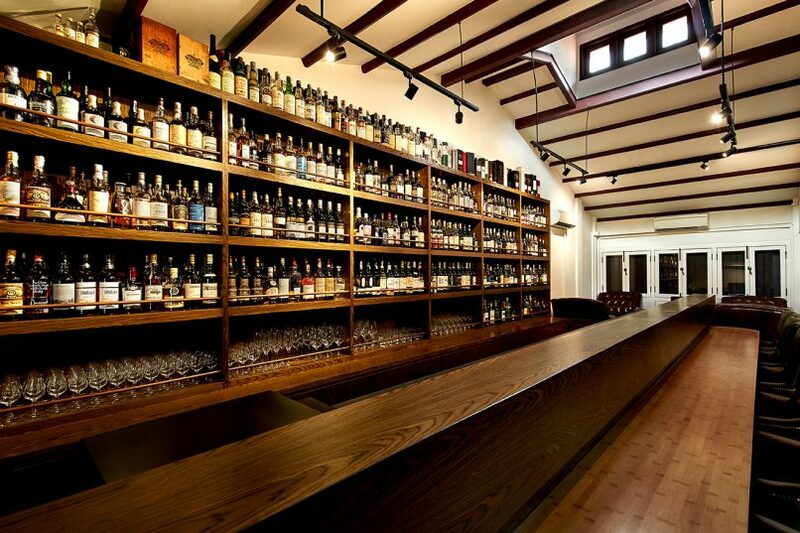 Each one is themed according to a particular cask type, region or rarity, allowing beginners to sample a variety of whiskies to discover their personal preferences. If you’d rather order drams, then speak to anyone behind the bar counter as they’d be more than happy to recommend a selection. Those who are genuine fiends for the esoteric should take time to scour the menu, as the treasures within could get your pulse quickening. All the names you read are a product of the years the bar’s founders have spent collecting rarefied bottles, single malt Scotch in particular. Nothing is off-limits for sampling. Even its most expensive expression, a Laphroaig distilled in 1970, and bottled at cask-strength for Italian importer Samaroli, is available if you are willing to shell out the S$450 it costs to enjoy a 20ml dram. There are only 720 bottles of that particular Laphroaig available in the world, and the one that sits behind the bar is number 652. It speaks volumes about how The Swan Song actively tries to break the stereotype that expensive whiskies are only meant to be collected and idolised, never drunk. Because Hoon and Prashant brand themselves as drinkers first, they understand the need to make legendary bottles accessible to customers who might not otherwise have means to obtain them, even if that bottle is the only one they will ever own. Aside from the extremely rare armada, there is a large number of independent bottlings that beginner and intermediate drinkers can turn to. The Mackillop’s Choice Ardberg 1993, for one, is a single malt that will convert anyone that claims to hate peated whiskies — it is a honeyed treasure full of ripe fruit notes, with only a slight smokiness that sneaks in after the swallow. 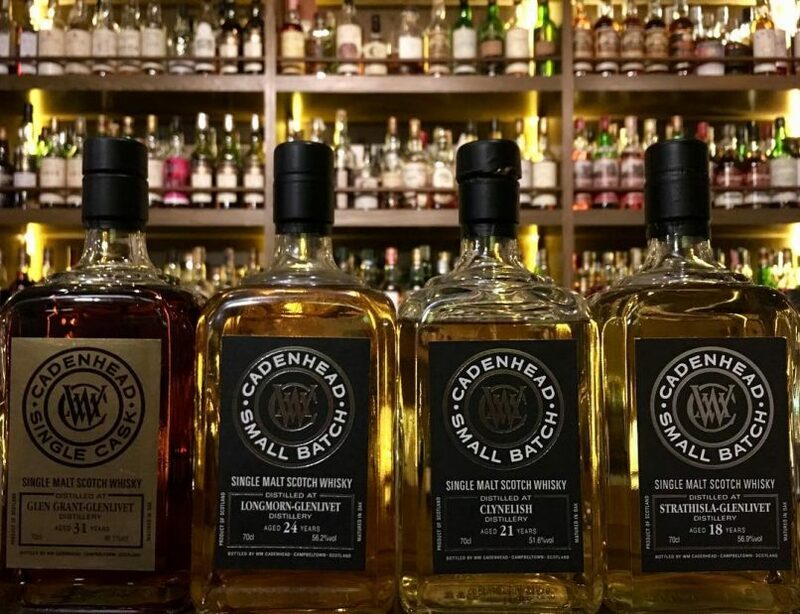 The Swan Song also has a limited edition Linkwood 28 Year Old, bottled by Cadenhead specially for this bar and three others around Singapore. This one checks all the boxes for anyone who enjoys a sherry-cask whisky, but takes it a notch further with prominent notes of vanilla and wood spice. Bottle service is not available here, and everything is available by dram only. Another teaser is its diverse range of Clynelish whiskies throughout the ages. Aside from the extensive trove of whiskies, a small handful of gins, rums, and tequilas, as well as one boutique beer brand, are also available. For no-ABV options, there is a delectable apple juice sourced from a remote Austrian farm. Don’t leave without ordering a glass. There is no food menu, but chips are available as a complimentary bar snack. There’s no sense of imposed alienation at all when you visit The Swan Song. 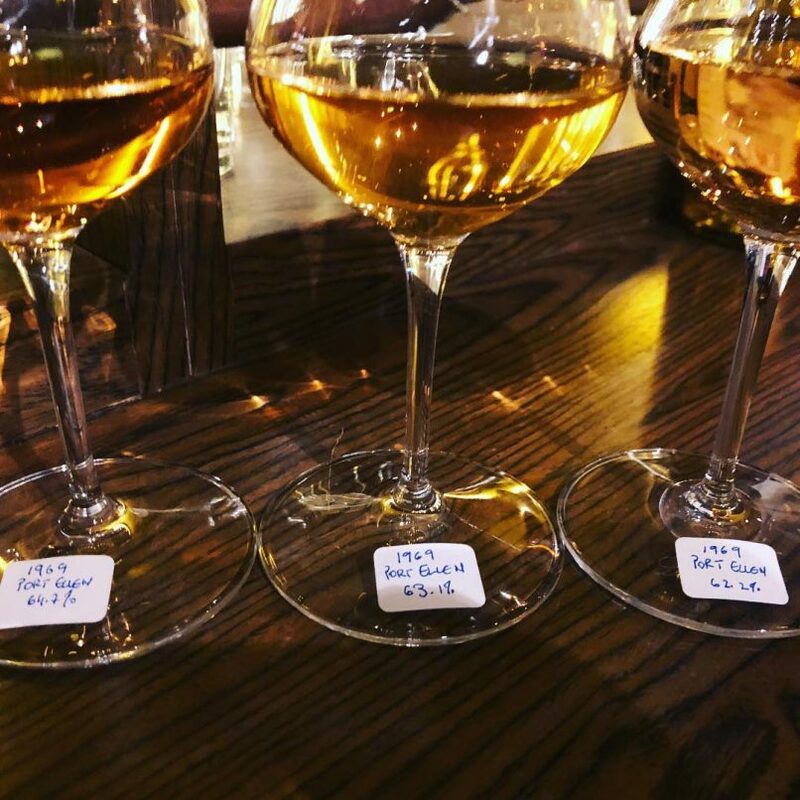 Even if you can’t tell the difference between your blends and single malts, the team is more than happy to help kickstart your whisky journey the right way. One small point to note: Fans of Japanese, Irish or whiskies from other nations outside Scotland should not expect to satisfy their fancies here, though, as The Swan Song is a foremost temple for Scotch. Recommended drinks: We’ll let the folks at The Swan Song do the recommending for you. Price: S$40-S$80 per person for a couple of drams or a single flight, unless you gun for the top-tier options.